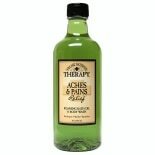 Village Naturals Therapy Mine...20 oz. 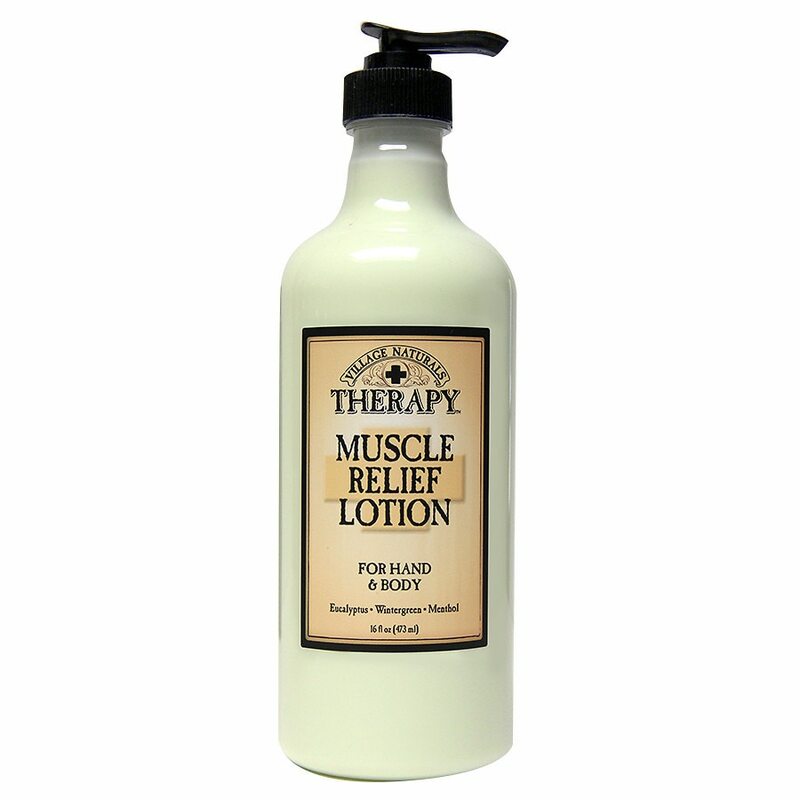 Massage away your aches by applying deep penetrating Muscle Relief Lotion to your aching joint and muscles. Infused with a blend of cooling Menthol, comforting Eucalyptus and moisturizing Shea & Aloe that will ease sore, tired and aching muscles on contract. You will notice the aromatherapeutic vapors as you use the soothing formula. Essential oils & extracts of Wintergreen & Rosemary moisturize skin as it relieves your aches & pains. 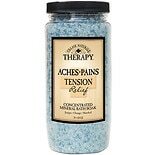 Generously apply to sore areas and massage thoroughly. Use as often as needed. 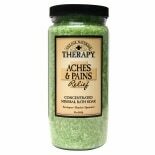 For best results: Soak in a warm bath of Aches & Pains Mineral Bath Soak or Aches & Pains Foaming Bath Oil & Body Wash first to warm and relax your body. For adult external use only. Keep out of reach of children. This product contains menthol; may cause irritation on sensitive skin. Avoid contact with eyes.